The USA-based company, Dell, known for its high quality laptops and PC’s has now ventured into mobile handset making sector. The venture is inspired with coming of 3G in India. Thus, Dell has launched two 3G compatible android handset for the Indian smartphone market a day before. Named as Dell XCD28 and Dell XCD35, these Dell smartphones were launched by the GM, Mahesh Bhalla, Dell India, in an event held in New Delhi. 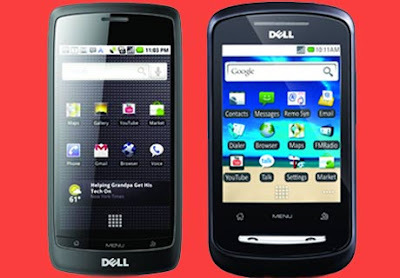 The most highlighted feature of these Dell smartphones is their immensely affordable price. Google’s operating system Android 2.1 is by far the most successful and renowned of all OS available these days. Based on Android 2.1 (Eclair), Dell XCD28 & Dell XCD35 are also good-looking. Dell XCD28 price in India is Rs. 10, 990 and a bit highly priced Dell XCD35 costs Rs 16,990 in India. 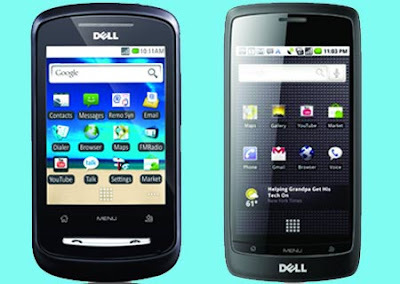 Both the Dell smartphones are also hi-end 3G handsets and offer several modern Android apps to its users. One can fetch dell XCD28 at all the leading retail stores of Dell all over the country immediately but will have to wait for DellXCD35 till December 2010. Packed with all the advanced features, these Dell smartphones boasts of 3G, Wi-Fi and Bluetooth as their most prominent features. But Dell XCD35 gives better options as 3.5-inch OLED touchscreen and 3 megapixel camera. It is powered by a speedy 600MHZ processor. Less priced, Dell XCD28 model sports 2.8-inch resistive touch screen and 3.15MP camera. Both smartphones from Dell are headed towards ever-booming Indian smartphone market and offer access to Android applications which is an added advantage. For young and professionals, Dell XCD mobile phones will give easy access to a richer multimedia and browsing experience, and also a hassle-free service support. All the Dell mobile Internet products will come handy with these phones. Geographic navigation, high-speed browsing and watching photos and videos in multiple formats on its native media player will be a true joy on Dell XCD smartphones. Dell XCD series is Dell’s attempt to transform the smartphone market and offer technology solutions to a wider consumer group. Same methodology was followed by the company in computer market and was hugely successful. Similar results are expected from Dell XCD smartphones.